UC Merced’s Student Success Internship (SSI) program returns for its fourth year, and the application period for campus departments. Submissions are due by 11:59 p.m. Sept. 7. Campus departments and schools: Here’s a chance to get your projects off the ground while helping students gain valuable experience. The only cost is the time you invest with your interns. 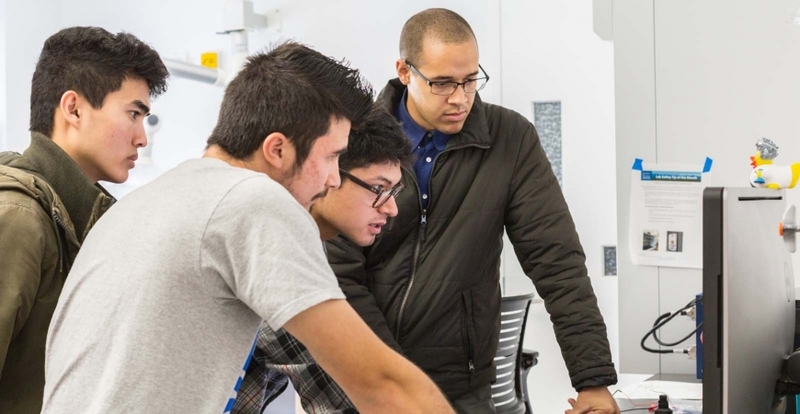 UC Merced’s Student Success Internship (SSI) program is returning for its fourth year, and the application period for campus departments and schools to submit project proposals opened this week. Submissions are due by 11:59 p.m. Sept. 7. The SSI program offers professional development opportunities for undergraduate students that will help them advance toward a career or graduate school. Interns work with mentor-supervisors who provide guidance and advice throughout projects while the students develop professional skills and take active roles in creating, developing and engaging in their assigned department’s projects. At the program’s end, students present the work they completed at the Student Success Internship poster session. About 30 internship positions will be available this academic year with program funding provided by the UC Office of the President, the Office of Undergraduate Education and the Division of Student Affairs. The paid internships last about eight months and students can earn up to $4,000 for their work. obtaining, interpreting and using knowledge, facts and data in internship projects, and demonstrating originality and inventiveness. The project application process requires departments to provide learning outcomes and other detailed information, so those interested in hiring interns are urged to give themselves ample time to complete the form before the Sept. 7 deadline. Requirements for mentor-supervisors are posted on the SSI website. Departments whose proposals are accepted will be notified by mid-September, with student recruitment beginning soon after. Visit the SSI website for more information about the program including frequently asked questions and student requirements. Questions? Email Brian O’Bruba , executive director of the Office of Leadership, Service and Career, or call 209-228-7272.